Want to design a theme park? Over the past century, theme parks have created worlds where pirates still loot Caribbean towns, where daring adventurers explore booby-trapped temples, and where superheroes swing from New York skyscrapers - and allowed us to step into them too. This is a book about how to design those fantastic places, and the ingenuity that goes into their creation. 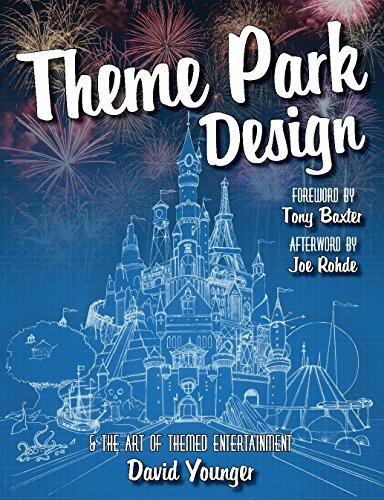 This is a handbook for the practicing designer, a textbook for the aspiring student, and a behind the scenes guidebook for the theme park fan, building on hundreds of interviews with accomplished designers from Walt Disney Imagineering, Universal Creative, Merlin Entertainments, and more. Theme Park Design & The Art of Themed Entertainment explores everything from the stories, themes, and characters that theme parks bring to life, to the business models, processes, and techniques that allow them to do it. From rocket ships to roller coasters, fairy tales to fi reworks, and dinosaurs to dark rides, never before has a book dived so deep into the art form of themed entertainment.